Marquise cut diamond is central in this vintage inspired design with a double row of grain set diamonds enhanced by millegraine detailing. 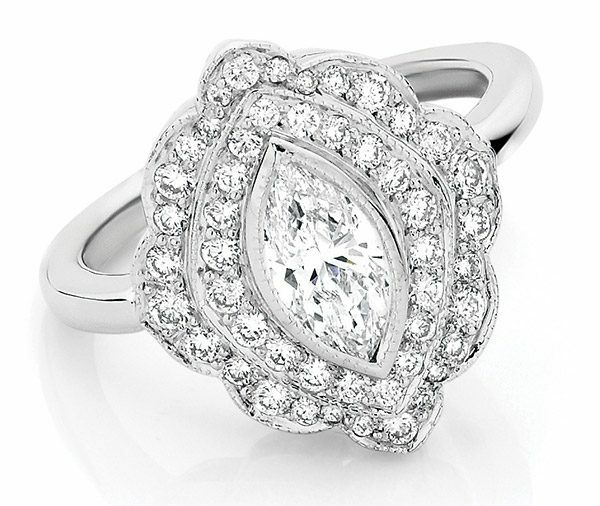 Model image features 0.70ct marquise diamond. Available in platinum, 18ct white, yellow or rose gold or any other precious metal combination.